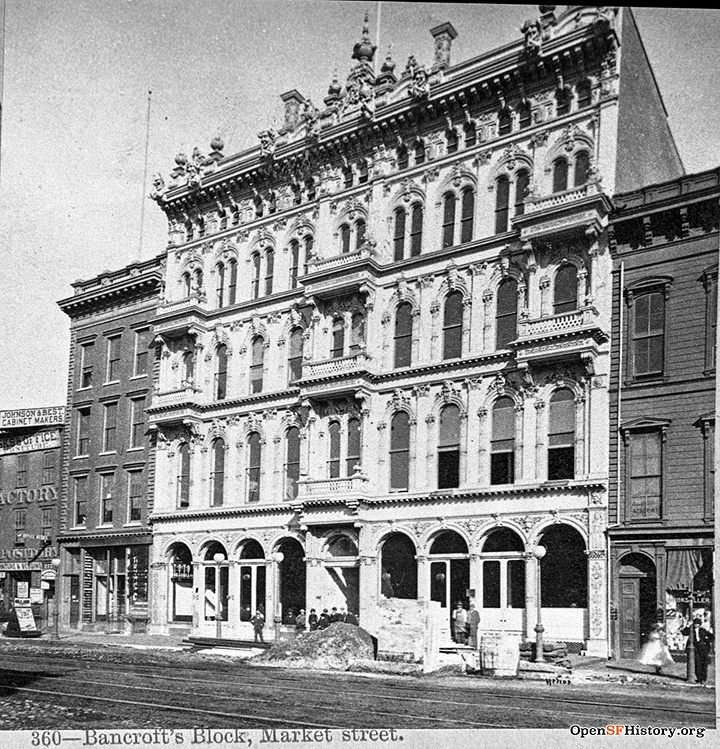 Bancroft's History Factory, 1875, 723 Market Street, between 3rd & 4th Streets. Street work underway. Johnson & Best cabinet makers at left. 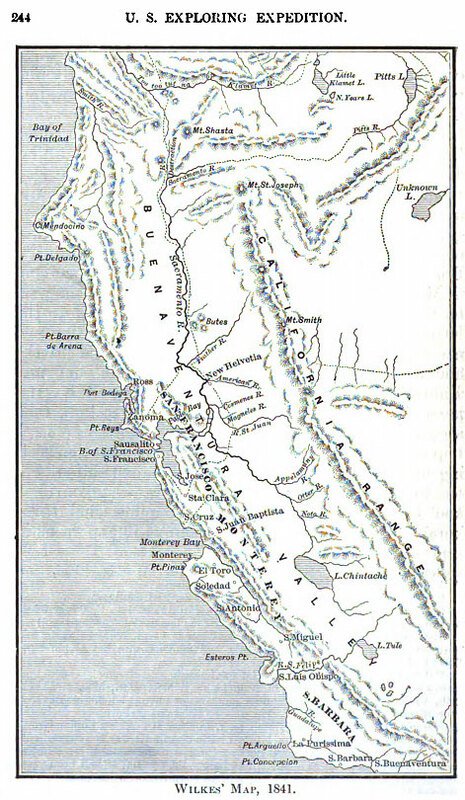 In the 1870s Hubert Howe Bancroft employed dozens of scribes to systematically write the History of the West. Bancroft made use of index cards in the organization and compilation of facts for his lengthy and massive series of historical volumes. In the course of his organization of source material and writing, Bancroft made use of scores of research assistants, the contributions of some of whom amounted to the output of co-writers. Originally he seems to have intended to use topical sections of writing produced by his assistants as the basis of a broad narrative which he himself would write, but as the work progressed he came to use the statements as they were, with only slight changes. He said his assistants were capable investigators, and there is evidence that some of them deserved his confidence; Frances Fuller Victor, in particular, was a well-known author. However, his failure to acknowledge each contribution created doubt about the quality of the work. 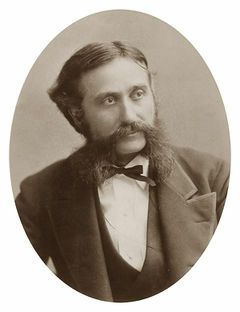 Overall, although Bancroft considered himself the author of his works, in contemporary terms it is more accurate to consider him an editor and compiler. 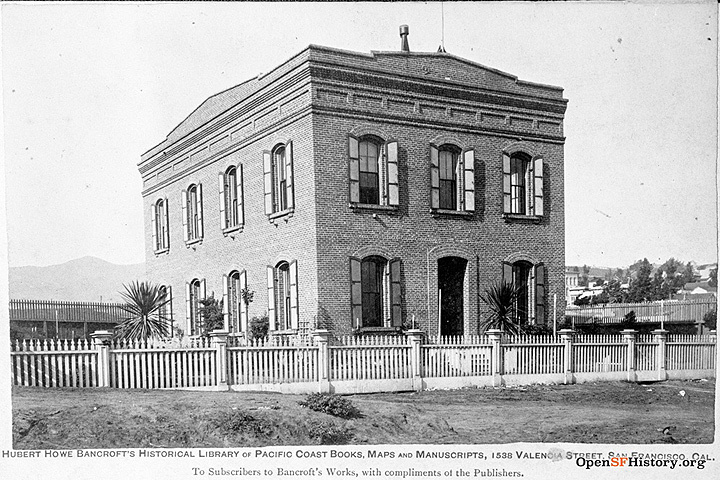 Second site of Bancroft's Library and "History Factory" on Valencia at Army (today, site of St. Luke's Hospital).